Sponsors are the generous businesses that make Elysium Gates Foundation possible through financial contributions and services. Please visit and support these caring businesses. They are the kind of commercial endeavors that make the world a better place for all of us. Thank You! Elysium Gates, Inc. are the primary supporters of the Foundation. They are a web hosting service that donates 10% of their profits to Elysium Gates Foundation projects. The service focuses on community and making the world a better place. The monies that are paid by subscribers goes to Foundation causes that members select themselves. As a web host for your personal or business site we highly recommend them! 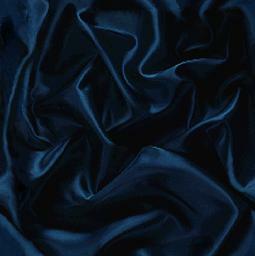 Elysium Gates, Inc. also houses our site for free and supplies our technical support. Crystal Cloud Graphics creates all the graphics and media for the Foundation, from designing and maintaining this website to our business cards and broshures. 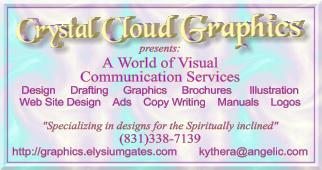 Crystal Cloud Graphics is a full service graphic house. Be sure to contact them for all your design needs. They also have a fabulous web site where you can download excellent free graphics for your site. 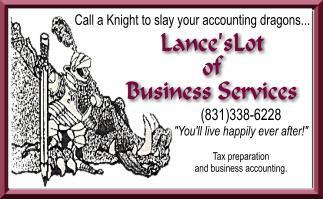 Lance'sLot of Business Services provides all of the Foundation accounting and fiscal document filing. We highly recommend his services for all of your accounting needs. We find him concientous, knowledgable and very patient with all our various questions and problems.